Wow! 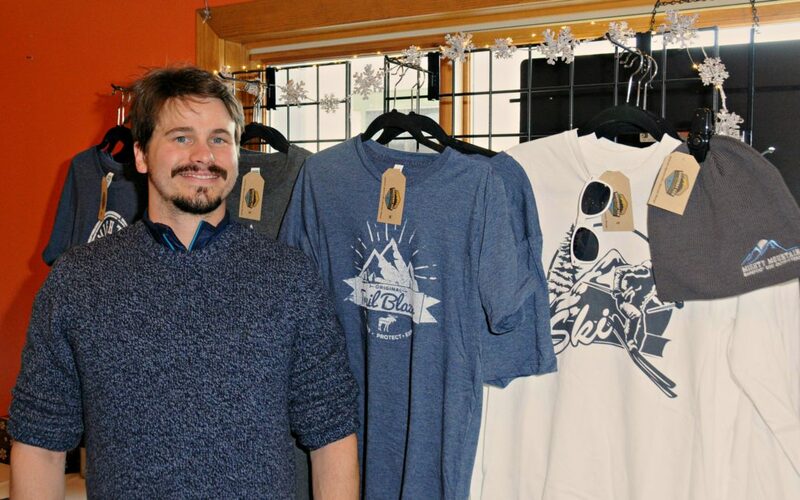 2017 got off to an exciting start for Barefoot Eco Outfitters! In January all hands were on deck to prepare for a road trip from Seattle to Park City, UT for our presence at the EcoLuxe Celebrity Luxury Lounge during the Sundance Film Festival. We were excited to share our product and mission with the VIP’s in attendance, and help celebrate indie film in a vibrant (and very snowy!) mountain setting! It was gratifying to be so well received, and we were motivated and inspired by the talented directors, writers, actors, and producers who were in attendance to claim their moment in the spotlight. We have an admiration and appreciation for indie film and the passion and commitment that drive the desire to tell a story that begs to be told, sometimes against great odds. We left Utah with a renewed perspective and invigorated sense of mission. 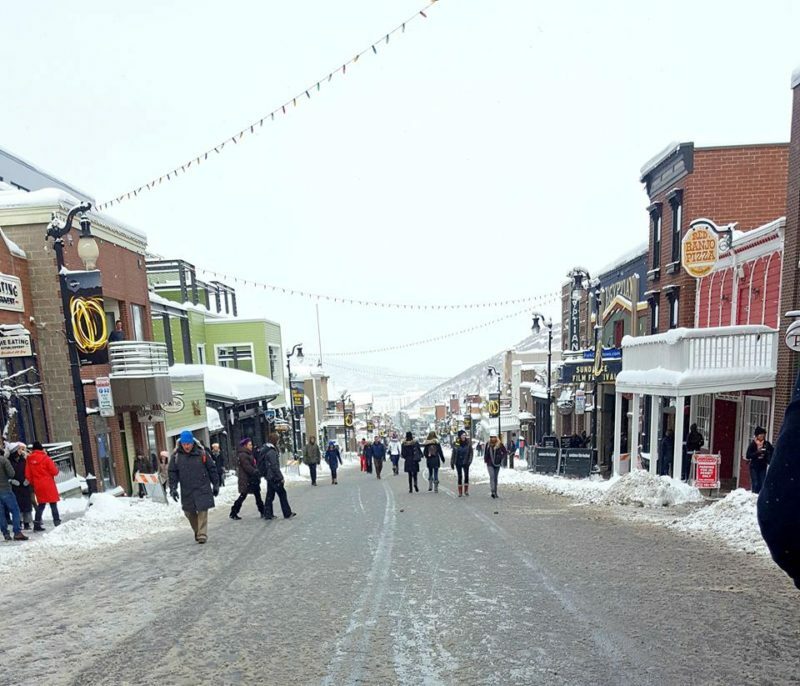 It was also very cool to be in Park City – one of the greenest cities in the U.S. Park City has the ambitious goal to be net-zero carbon and run on 100% renewable electricity for city operations by 2022, and for the whole community by 2032. We are in the challenging position as a nation of having made exciting headway into a greener, more sustainable future, and simultaneously facing roadblocks to protecting and preserving natural spaces and embracing clean energy. It was heartening to see such commitment in action, and it gives me hope for the future. It’s important to us to use our time and talents toward environmental conservation efforts. 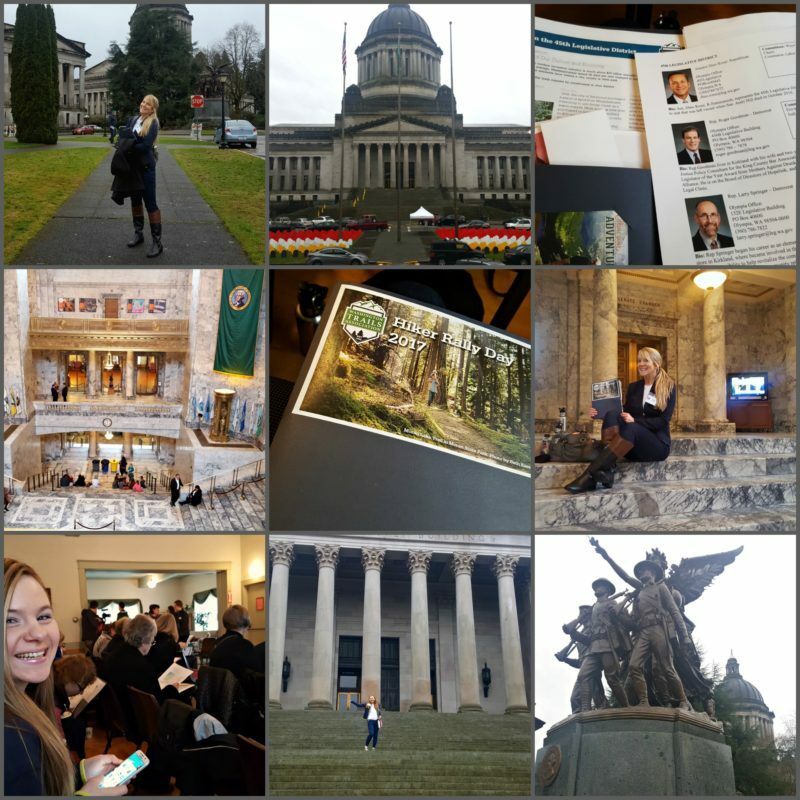 To that end, Barefoot Eco Outfitters trekked to our state capitol for Hiker Rally Day with the Washington Trails Association, to advocate for funding and preservation of our trail systems, the environment and the No Child Left Inside program, which aims to help get young people outdoors. It was a fast-paced day with a record turnout, and we appreciated the time our representatives spent with us listening to why we feel preserving our natural spaces is so vital. 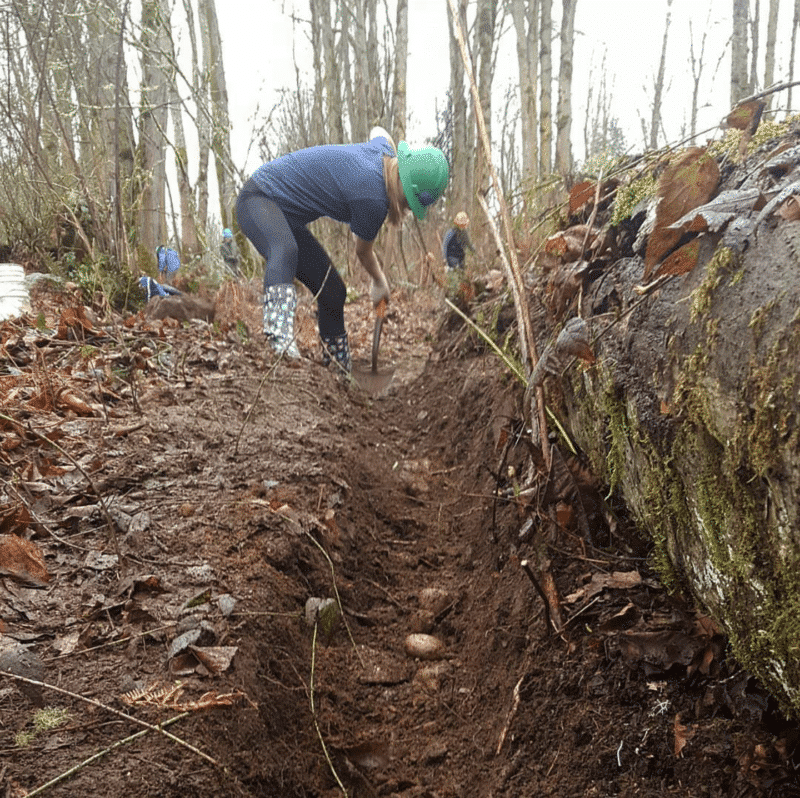 We also had a great time volunteering to do maintenance on a local hiking trail, which was an awesome experience. We met some incredible people and enjoyed great camaraderie in spite of the gray and drizzly day. Though muddy and wet from head to toe, the satisfaction of being in the great outdoors and a job well done was a fine reward. We’re already looking for our next opportunity! Though the wintery weather continues in this unusually snowy season in the greater Seattle area, we are also looking toward spring, and feeling the call of the ocean! From trail to sea, we draw inspiration from nature’s mighty majesty. Our new spring/summer styles will have our same trademark vintage feel and evoke happy memories of time spent at the shore. As always, our commitment to offering eco-friendly, made in the USA apparel remains the same, and a portion of every sale goes to environmental/marine conservation. We hope that the first quarter of your year is ending on a high note, and that we will see you out on that evergreen trail or windswept shore, finding yourself refreshed and at home in the great outdoors. Make memories. Embrace stewardship. Seek wonder!